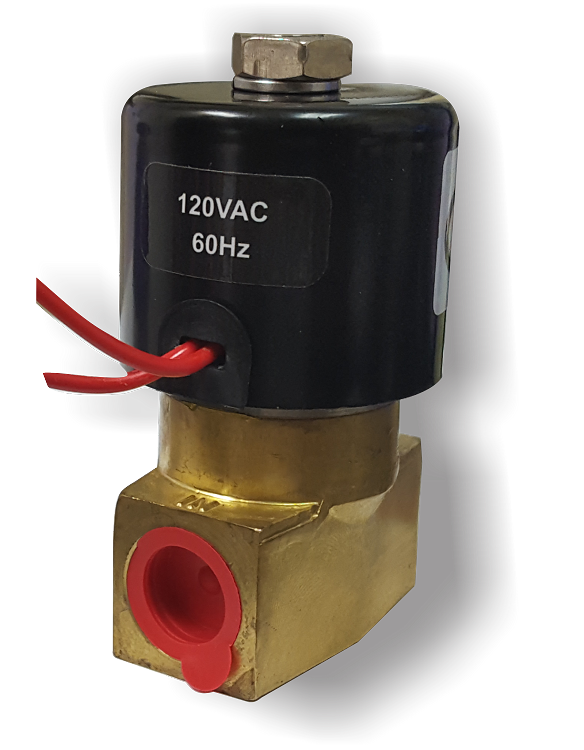 Electronic 3/8 MPT Solenoid complete with two leads, and solid brass body. This solenoid is normally closed. In the case of power failure Solenoid is closed. It can be wired into any 110v plug and float.